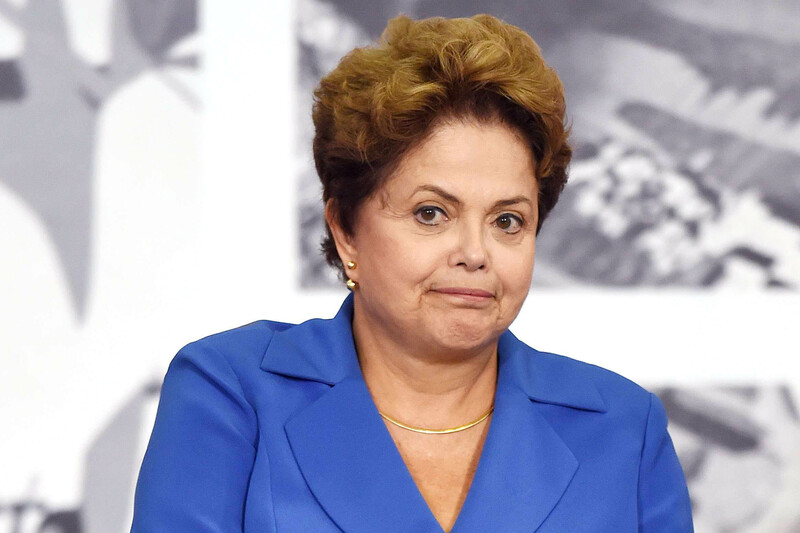 Dilma Rousseff, the current President of Brazil, is leading a crumbling government, what with her poll ratings in the tweens. It’s always fun to see a chavista ally eating crow, particularly one as important for Venezuela as Rousseff. But you know what I enjoy the most about this debacle? Brazil, with its lively democracy, its relatively unencumbered institutions, and its free press, shows us what Hugo Chávez could have become … but was too smart to let happen. Unlike Rousseff, Chávez made sure that his ascent into a populist throne was accompanied by the squashing of anyone with real power to threaten his rule. That is why the media, the prosecutors, the judges, the military, and private businesses were all pretty much subjugated to the whims of chavismo. It’s not perchance that we really don’t have independent institutions in Venezuela any more. Rousseff and her predecessor, Lula, could not (or, to their credit, perhaps did not want to) follow this path. The trickle trickle of scandals hitting Rousseff each week is proof that Brazil’s democracy retains a pulse. It may even be lively enough to bring her down in the coming months. The latest scandal came today courtesy of the Brazilian weekly Época. In the article, we learn that the Brazilian Comptroller’s Office (TCU) is investigating corruption involving contracts given directly by Hugo Chávez – thanks to the intercession of Lula – to Brazilian construction firm Odebrecht for several Metro projects in Venezuela. There appears to be a huge mismatch between the amounts disbursed by Brazil’s state-owned National Development Bank (BNDES) to Odebrecht and the work actually carried out, prompting us to wonder … who could have possibly pocketed the change …? We’ve long been fans of the slick way in which Odebrecht does business in Venezuela, and there are extensive links between the Brazilian construction giant and Brazilian politics. While this new scandal will barely register in Venezuela’s public sphere, at least it helps shed some light as to why the plight of Venezuelan democracy gets such little attention from the leaders of our South American neighbors.